Since we’re on the cusp of St. Paddy’s Day, do you agree it’s time for a green enchilada sauce with fresh citrus-spicy serrano chiles, tart green tomatillos, and a handful of emerald cilantro? For green enchilada sauce the tomatillos are boiled until they are just soft, about 5 minutes. (If you can’t find fresh tomatillos, open a can of tomatillos.) 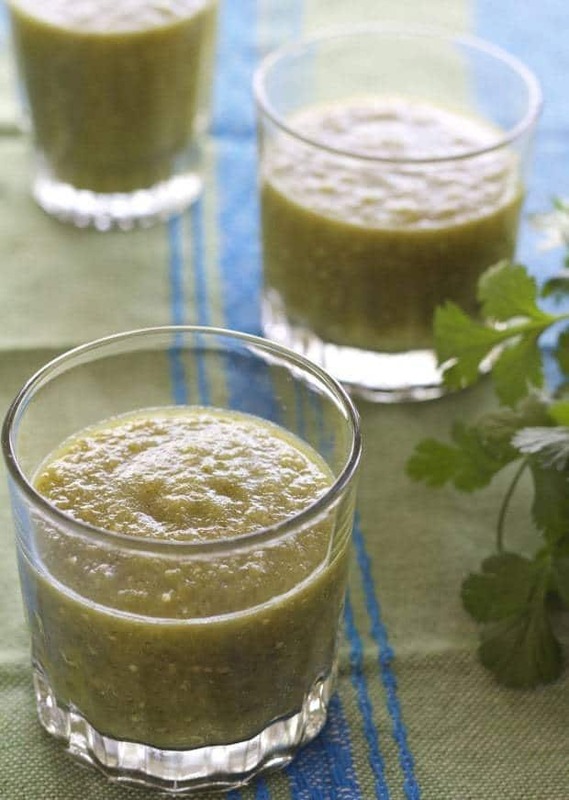 When the tomatillos are soft, liquefy them in a blender with raw serrano chiles, cilantro, onion, garlic and salt. 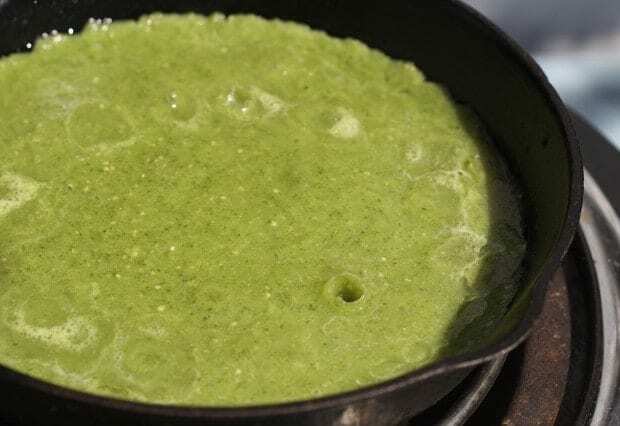 Lastly, heat the sauce with a tablespoon or so of oil–a few minutes of skillet time changes the flavor and color of this green sauce. 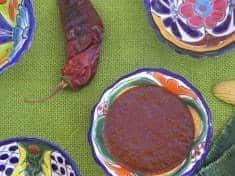 Mexican green sauces, like Mexican red sauces, come in different shades of both color and picante bite, some spicy hot, some not so. The variations depend on the ratio of green chiles, cilantro and tomatillos, whether or not you char the ingredients, and if the sauce gets cooked after it’s blended. You want spicy green salsa? Chop the chiles with the seeds and veins intact. Want flavor but mild spice? Just remove the seeds and veins. I can’t leave well enough alone. I play around and change Mexican green sauce, depending on its use. 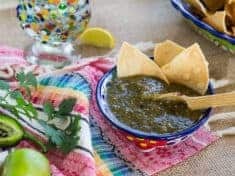 In the green salsa verde table sauce recipe I posted last year, I kept the ingredients raw, except for the tomatillos to make refreshingly tart salsa that’s nice for chip dipping. 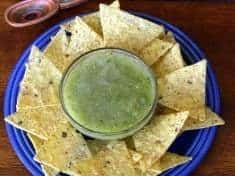 In another recipe, I show how to roast the salsa ingredients for Roasted Tomatillo Salsa with a delicious smoky accent. And there’s my salsa verde without cilantro, a simple sauce for incredible spinach tortas. I love these tart green sauces poured over enchiladas, and any combination of tomatillos, chiles and cilantro suits me just fine. 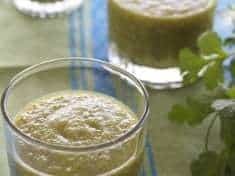 This green enchilada sauce is the one you want to pour and bake over filled and rolled tortillas for green enchiladas! 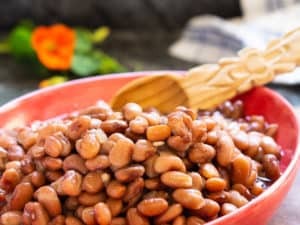 For a colorful casserole, pour green enchilada sauce on one long side of the pan, and authentic red enchilada sauce on the other, then sprinkle white cheese down the middle. Your baked enchiladas will look like the Mexican flag! Make it a fabulous week–get in the kitchen and get spicy! Don’t miss my monthly reader newsletter with bonus recipes and more. If you don’t already subscribe to my blog—sign up now. To get my latest recipe posts and exclusive monthly newsletters, subscribe here. This post may contain affiliate links. When you purchase products via my links, it doesn’t cost you anything and I earn a tiny commission, which helps me continue to provide free content here on Letty’s Kitchen. Thank you!! 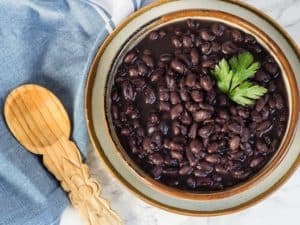 This sauce is super easy to make in a blender. To make it even quicker, use canned tomatillos. Bathe your enchiladas, or try it as a sauce for grilled veggies—yum! Makes about 3 cups sauce. 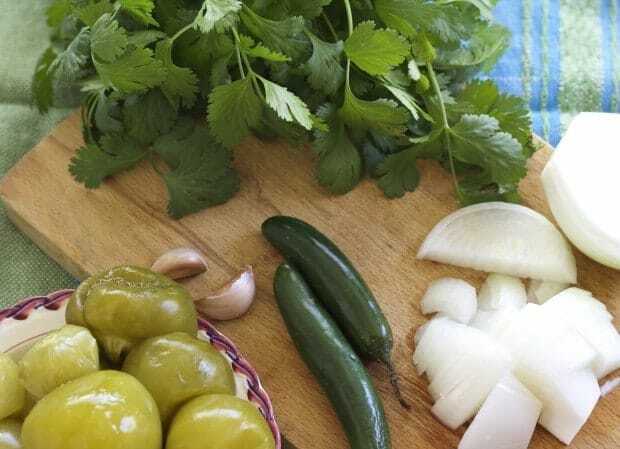 Place the clean tomatillos, onion, garlic, cilantro, serrano chiles and salt in a blender. Whirl until smooth. Heat a small amount of olive oil in a skillet. Add the tomatillo mixture; cook and stir for 3 or 4 minutes. If you think the sauce is too thick, thin with a little water. For maximum picante heat, chop the chiles with the seeds and veins intact. For milder heat yet the same wonderful chile flavor, remove the seeds and veins.